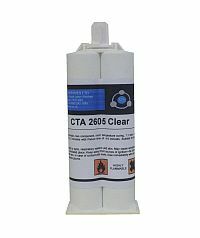 You get the widest range of adhesives at CTA. Choose from our Two Part Structural Acrylic, Two Part Polyurethane, Toughened Epoxy Resins, High Temperature, Polyolefin Bonders. Cyanoacrylate, Contact adhesives, Anaerobic, Single Component Polyurethane, UV Curing or Hot Melt. If you are unable to find what you are looking for or are not sure if an adhesive is right for your application, contact us. Talk to us about your application we have the technical knowledge and expertise to assist you in deciding which adhesive is most suited to your application. The majority of all our adhesives and tapes are manufactured right here in the UK. 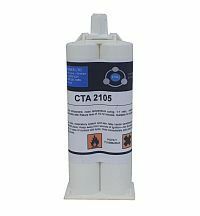 Our 2000 series of adhesives are all two part adhesives with 1:1 ratio, meaning the adhesive and the activator are equal size. 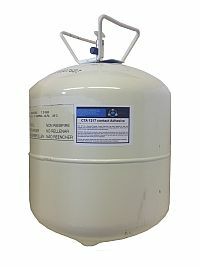 Our 2000 series range from Structural Acrylic (Methyl Methacrylate), Reinforced Polyurethane or Epoxy resins. The strongest of these adhesives would be the Methacrylate adhesive, high temp resistance, tensile and shear performance. Capable of filling gaps up to 10mm whilst maintaining it’s structural strength and characteristics and capable of going through a powder coat oven short term at 220°C. Open times vary from 4-50 minutes. 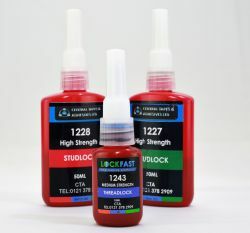 Our strongest two part adhesive is our 2105 and also our biggest selling item. Polyurethane adhesives have low or no odour or shrinkage and are more environmentally friendly. 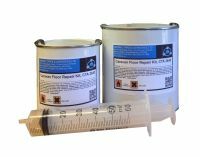 Epoxy resins are traditional yet still have have a unique quality as they are available clear and can be better at bonding some metals such as copper and brass with open times varying from 5 – 50 minutes. NOTE: Methyl Methacrylate adhesive has been around for the last 15 years. It is the methyl ester of Methacrylate acid, the main ingredient in this range of adhesive products. 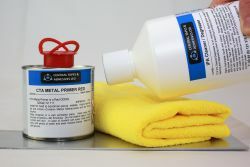 Methacrylate adhesives are supplied in a two part system that when mixed offer a controlled cure speed suited to the application. 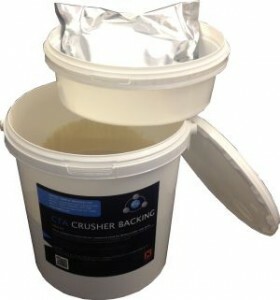 The cured adhesive can offer incredibly high tensile, shear and peel strength, whilst also resisting impact loads at both elevated and sub zero temperatures. Anchor fixing chemical adhesive is a rapid curing “one shot” two part anchoring cartridge system based on an epoxy acrylate resin. Combining the benefits of epoxy resin (toughness, heat and chemical resistance) with the handling and rapid curing of polyester resins. The 1000 series of adhesives are all one component adhesives they can cure atmospherically (moisture curing), Ultraviolet Light activated (UV) or anaerobicly (in the absence of air) such as thread lockers and retaining compounds i.e. applying a sealant to the thread of a bolt. Once applied into the screw hole where there is no oxygen the sealant will then cure in the absence of air. 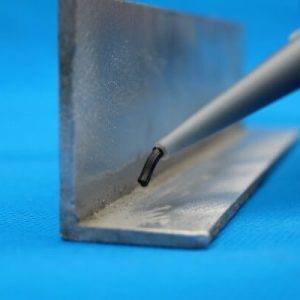 Hybrid adhesive – This range of single part adhesives have been specifically designed from a blend of raw materials to be cured within an oven and continue to cope with high temperatures. Making it ideal when needing to form a seal prior to a powder coating process. Our newly improved 15002 Pre Powder coat seam sealer is quickly adapting itself in many industries replacing the need to spot weld saving time in manufacturing processes. 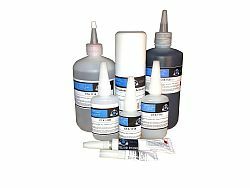 Cyanoacrylate Adhesive – Cyanoacrylates are a family of strong fast-acting adhesives. When used in conjunction to an activator a set time as quick as 30 seconds can be achieved. This type of adhesive is sometimes known generically as instant glues or superglues. Our strongest Cyanoacrylate and best selling is our 1115 HV. Contact Adhesives – are products that will cure off once the solvent/aqueous (water based) has evaporated so can be a blend of rubber/polyurethane adhesives suspended in either a solvent or water based. 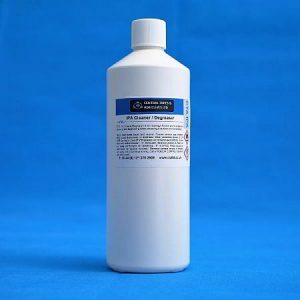 Our 1210 (solvent based) contact adhesive is our most popular and comes in a handy 1 litre can that can be brushed onto the substrate which requires bonding. Thread & Bearing Lock – We offer a great high quality range of thread and bearing/bolt lockers at fantastic prices, our customer are blown away by our range. Polyurethane & Hybrid adhesives – This range of adhesives are single part cartridge adhesives, our biggest selling single part PU is 12126 available in black, white or grey. Ideal for bonding a wide range of building materials, without the need for nails or screws. Initial grab sets to form an extremely high strength bond a multi purpose and gap filling adhesive which can be sanded and over painted. Also view our 15500 Clear an MS (Modified Silane) Polymer High Grab Adhesive and an all-round durable, flexible adhesive and sealant based on MS Polymer technology providing excellent adhesion to non-porous surfaces and is paintable with most paints. 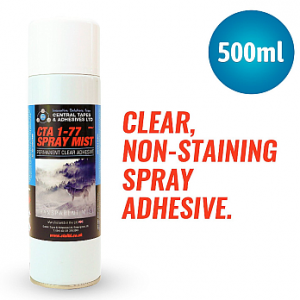 Can be applied on damp surfaces. Both products keenly priced within the market place. UV Curing Adhesives – are activated by an ultraviolet or UV ray of light. 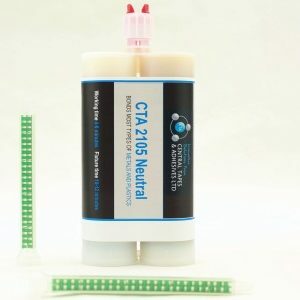 Hot melt adhesives – Our hot melt adhesives are sticks of adhesive that when heated will melt to form a thixotropic fluid adhesive that, once cured, will re-solidify to bond desired materials. Our comprehensive range of adhesives are supplied into the majority of industries such as Signage, Point Of Sale, Plastic Moulding, Metal Fabrication, Construction, Automotive, Furniture, Recycling and many more.